More than 800 people in northern Sweden may have developed cancer as a result of the fallout of the 1986 Chernobyl nuclear accident, a new study claims. 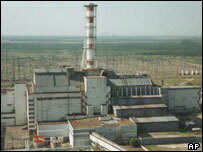 Swedish scientists said the "Chernobyl effect" was the only likely explanation for 849 cancer cases they came across. But their findings met with scepticism from some other experts who think the radiation fallout in Sweden was not likely to cause such a rise in cases. A radioactive cloud swept across north Europe after the disaster in Ukraine. The study monitored cancer cases among more than 1.1 million people exposed to radioactive fallout in northern Sweden between 1988 and 1996. Martin Tondel, a researcher at Sweden's Linkoeping University who headed the study, said that, of 22,400 cancer cases, 849 could be statistically attributed to Chernobyl. He said that, after other factors such as smoking, population density and age had been taken into account, it seemed the only possible explanation. "We've tried our best to explain it in other ways, but we can't," he told the Associated Press. "So then you have to believe your data." "With every statistical method we used to look at it, we see an increase (in cases) across the board. That indicates that it's a Chernobyl effect," he added. He acknowledged there was no significant rise in cases of leukaemia or thyroid cancer, normally the most common types among radiation victims. This would make it "a little harder to convince the world" of the accuracy of his findings, he admitted. Leif Moberg, a radiation expert with the Swedish Radiation Protection Authority, questioned the findings' conclusions. "The radiation dosage that we in Sweden got after the accident was too low to produce this many cancer cases," he was quoted by the AP as saying. He also suggested it was a little early to have any definite results, saying: "Most cancer cases don't develop until 20, 30 or 50 years later." His organisation has previously estimated that in 50 years, around 300 people in Sweden would be affected by the Chernobyl fallout. The new findings have been published in this month's issue of the Journal of Epidemiology and Community Health, published by the British Medical Association. Mr Tondel said the study was finished in 2000, but had not been published until now because of scepticism among science editors, AP reported. 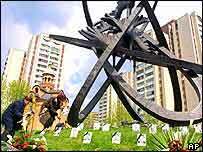 The Chernobyl power station, in the former Soviet republic of Ukraine, exploded on 26 April 1986. The blast killed at least 30 people and forced the evacuation of 135,000 more due to the level of nuclear contamination in the area. The disaster led to a dramatic rise in the number of cases of thyroid cancer, leukaemia and birth defects, especially in Belarus. About 6.7 million people are believed to have been exposed in what is the world's worst nuclear disaster.